Rufus Reid at Tula’s with Steve Allee, piano and Duduka Da Fronseca on drums. What a great classic jazz sound. 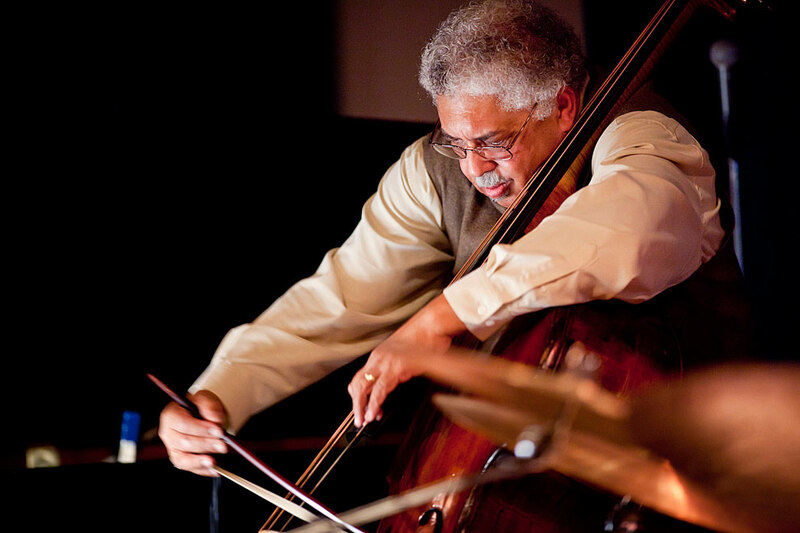 An accomplished sideman, a visionary educator, and a composer of note, bassist Rufus Reid possesses one of the richest and most generous tones in jazz today. Having been the bassist of choice for dozens of major artists, including Dexter Gordon, Thad Jones, and Nancy Wilson, Rufus Reid here leads his own trio. They will be at Tula’s through November 2nd. Born in Atlanta, GA in 1944, Rufus Reid came of age in Sacramento, California where he played the trumpet in junior high and high school. Upon graduation Reid entered the United States Air Force as a trumpet player, where he first became seriously interested in the bass. After completing his term in the Air Force, Reid moved to Seattle to study bass with James Harnett of the Seattle Symphony, and he went on to study bass performance at Northwestern University.